This entry was posted in Academic achievements, Research, Students and tagged Graduate Research Fellows, Honorable Mention, national science foundation on April 16, 2013 by Wire Eagle. AUBURN UNIVERSITY – The National Science Foundation has named an Auburn University student and three alumni as NSF Graduate Research Fellows and cited two other Auburn students and an alumnus for honorable mention. The recently named fellows are Honors College student Lauren McManus, a senior in aerospace engineering; Matthew McBride, a 2012 Honors College graduate in chemical engineering; Jennie Appel, a 2011 graduate in electrical engineering; and Joshua Jarrell, a 2005 graduate in applied mathematics. Each fellowship provides three years of support at $30,000 annually and an additional $10,500 cost-of-education allowance. The purpose of the fellowship program is to help ensure the vitality and diversity of the scientific and engineering workforce in the United States. This entry was posted in Academic achievements, Faculty and tagged biofuels, national science foundation on March 18, 2013 by Wire Eagle. 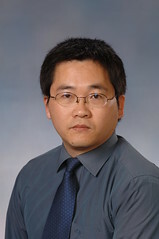 AUBURN UNIVERSITY – Maobing Tu, an assistant professor in the School of Forestry and Wildlife Sciences, has received a $401,155 National Science Foundation Faculty Early Career Development Award for his research in biofuels and bioenergy. 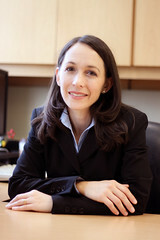 The CAREER program offers the NSF’s most prestigious awards, honoring junior faculty who excel in research and teaching and integrating these roles at their institutions. This entry was posted in Academic achievements, Faculty, Research and tagged auburn, cardiac, CAREER award, engineer, national science foundation, tissue on February 5, 2013 by Wire Eagle. AUBURN UNIVERSITY – Elizabeth Lipke, an assistant professor in Auburn University’s Department of Chemical Engineering, has received a $400,000 grant through the National Science Foundation’s prestigious Faculty Early CAREER Development Program for her research designing engineered cardiac tissue and developing cardiac regeneration techniques. Limited to a few individuals each year, the award recognizes outstanding college and university faculty members in the early stages of their careers and supports their research and outreach activities with funding for five years. This entry was posted in Academic achievements, Faculty and tagged Antarctica, art, College of Liberal Arts, national science foundation on January 17, 2013 by Wire Eagle. AUBURN UNIVERSITY – Allyson Comstock, a professor in the Department of Art in Auburn University’s College of Liberal Arts, has been awarded a National Science Foundation grant through the Antarctic Artists and Writers Program. Comstock is one of just two artists and the only awardee from Alabama to be selected this year. She will travel to Antarctica in October and will spend two months working collaboratively with researchers at Palmer Station to create a set of 30 total drawings to represent the Antarctic environment. This entry was posted in Research, Students and tagged fellowship, Honors College, national science foundation on August 3, 2012 by Wire Eagle. 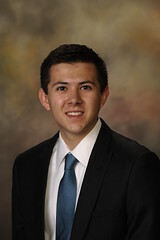 AUBURN UNIVERSITY – Auburn University Honors College graduate Matthew Ramirez has been awarded a National Science Foundation graduate fellowship. Ramirez is the fourth Auburn student to be named a fellow this year, joining Nicole Garrison, Bianca Williams and Devin Kalafut. The fellowship provides three years of support at $30,000 annually and an additional $10,500 cost of education allowance. The purpose of the fellowship program is to help ensure the vitality and diversity of the scientific and engineering workforce in the United States.